The exclusive Axor Massaud design line is something very special. It was designed by Jean-Marie Massaud, who has been designing bathrooms for Axor since 2005. 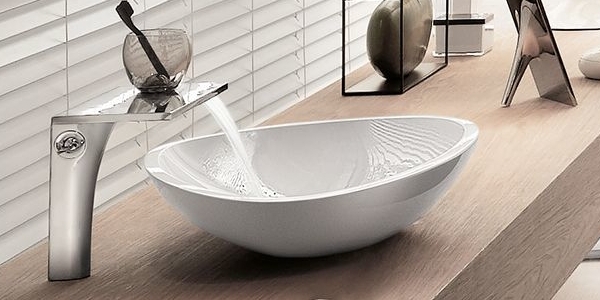 In addition to the extra ordinary faucets, it also includes harmoniously shaped washbasins and exclusive bathtubs. The design of the line is based on nature. 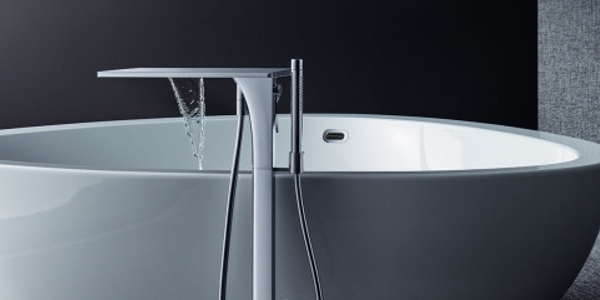 The gently shaped bathtub nestles into your bathroom like a forest lake. Get in and let nature pamper you. But not only the washbasins and bath tubs are characterized by extraordinary and aesthetic design, the faucets by Axor Massaud are also a real highlight. With their wide but extremely flat spout, they form a stylish stream that make the wash basin and bathtub look like a waterfall. They appear discreet, modern and extravagant. The special highlight: the Axor Massaud faucets are not only available in chrome but, as usual for Axor, in numerous other design colors, making them even more stylish eye-catchers. 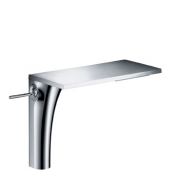 The washbasin faucets of Massaud set the stream jet perfectly in the limelight - the washbasin faucets of the Massaud line put the flood jet perfectly in the limelight - whether as a single-lever mixer in the stand version or as a three-hole mixer in wall or stand version. Almost magically, the stream flows out of the elegant filing like a waterfall. The handles are reduced to the essentials and show up in the form of narrow cylinders or as stone-shaped and thus fit into the natural ambience. The free-standing version has a projection of 100 mm, but can also be selected to match the counter top wash basin with a projection of 200 mm. Massaud offers various shower mixers or thermostatic faucets with a stylish operation for your shower. They are in a cylindrical form with a safety lock at 38°C. 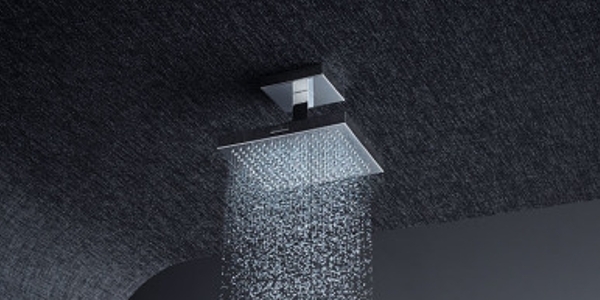 For the shower head, an Axor ShowerSolution rain shower or any other shower of the Axor brand can be selected. Let yourself enjoy the perfect design experience in your Massaud bathtub completed by the waterfall faucet. 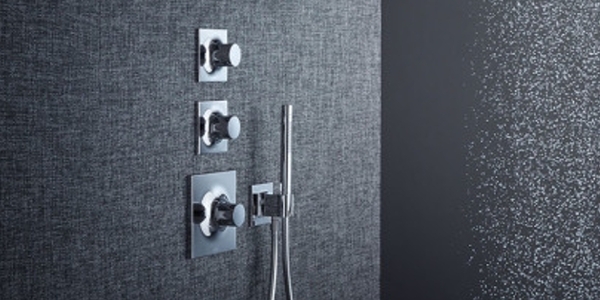 The Massaud product line also offers you various variants: the free-standing bath faucet, the four-hole bath mixer and individual thermostat fittings, mixers and bath inlet. All spouts have the characteristic stream jet, which ensures happiness even before bathing. 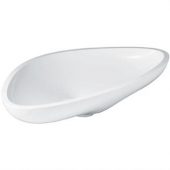 Like the rest of the faucets of Massaud line, the bidet faucet has a tray on top due to its shape. However, the bidet faucet does not have a stream jet, but a laminar flow. This is formed by a ball joint aerator. A rod on the left side of the faucet serves as the operating lever. 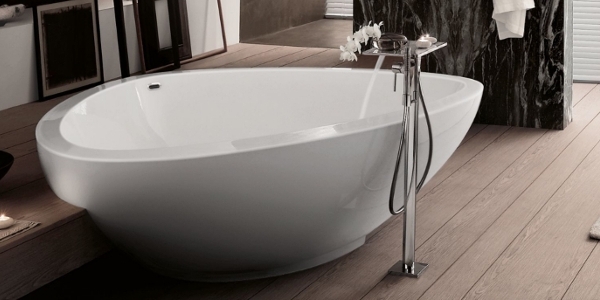 The Massaud exclusive free-standing bathtub has a size of 1891 mm x 1891 mm x 620 mm and a water filling height of 380 mm. It consists of a sandwich material with polyester gelcoat surface (protective layer for plastic materials). Like a forest lake, the bathtub nestles in your bathroom and is shaped like a triangle with rounded corners, so there are three back slopes that provide enough space for two people. 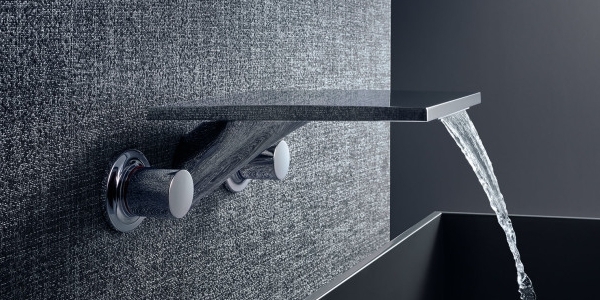 For an exact adaptation to every bath, the countertop washbasins are available in lengths of 570 mm and 800 mm. The width is 450 mm; the height 144 mm. 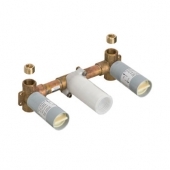 This gives the washbasin the ideal depth for the stream jet faucet without splashing. 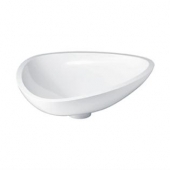 The washbasins are shaped like the bathtubs, so that they fit perfectly into the product line and make the natural feeling in the bathroom perfect. Even the accessories are inspired by nature and imitate branches and lakes. The Massaud line, for instance, offers a floor-standing towel rail that looks like a young tree with fine branches. Other accessories like the cosmetic box resemble a pebble stone. All accessories are available in the 15 Axor colors and provide variety in the bathroom.